One of my first jobs ever, even though it only lasted a few weeks, was a summer working as a smoothie maker at Jamba Juice. 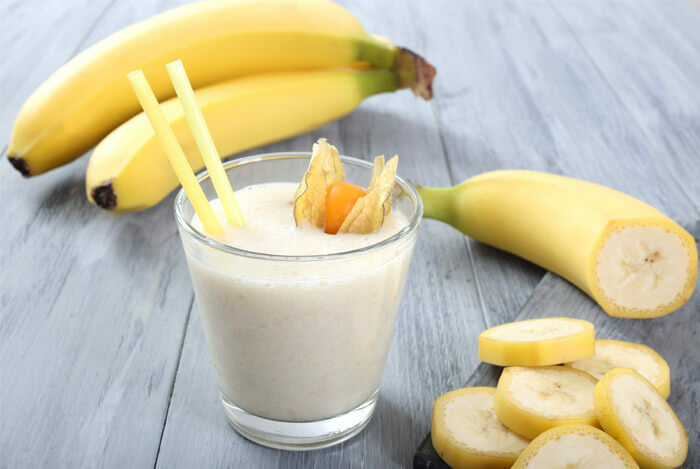 At that time, pretty much every smoothie had bananas as a main ingredient. 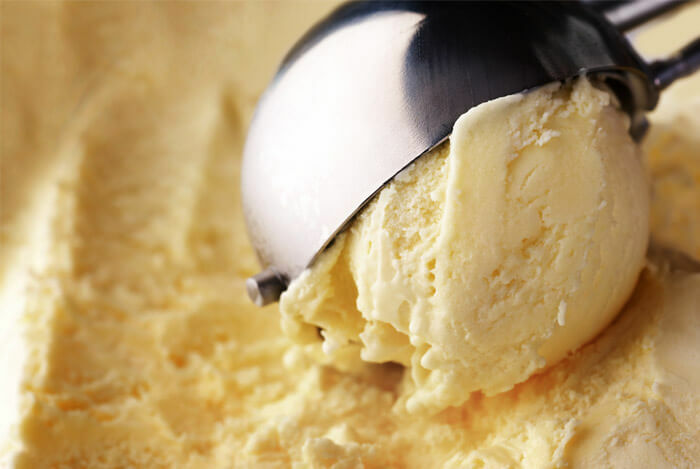 Not only do these babies add that well-known sweetness, but a smooth, creamy texture too. Frozen bananas – sliced, are pretty tasty in my book. But did you know bananas have some crazy health benefits? 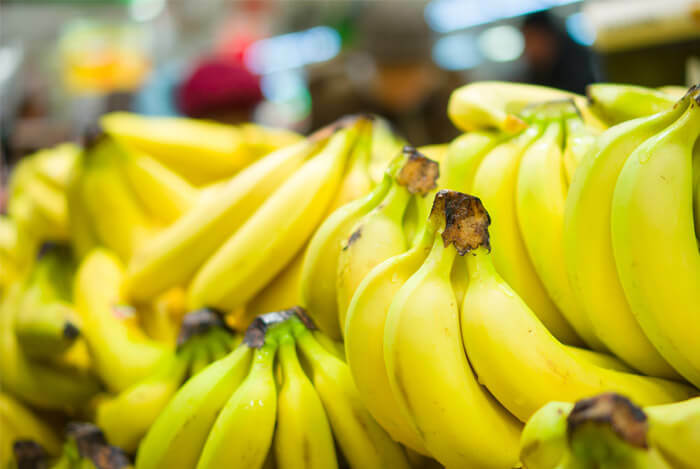 Not only do bananas come packed with potassium, an element that has numerous functions in the human body, including brain function and energy regulation, but they’re a natural source of many other essential nutrients. Take a look at the statistics of a healthy sized banana below. Ok, so they have a bunch of nutrients. So what? What can these fruit boomerangs do for me? 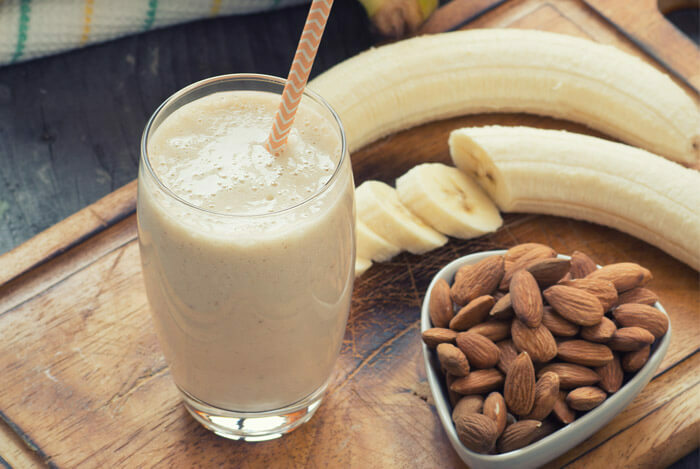 Without further ado, here are 8 benefits of bananas, followed by 5 sweet tips on how to eat them. 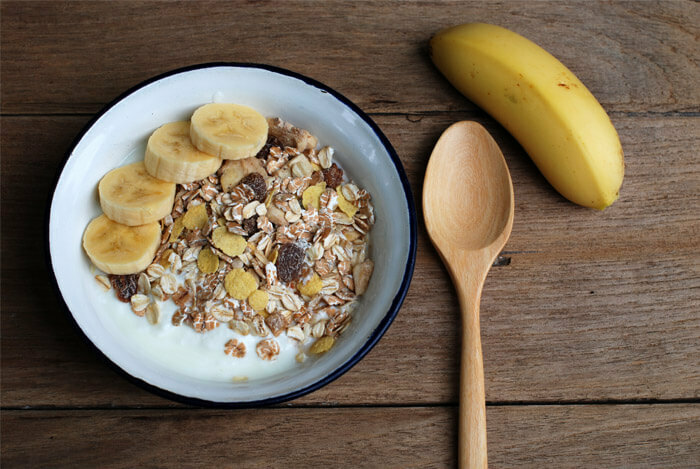 Bananas come packed with vitamin B6, an essential vitamin needed for energy production. I’m sure you’ve seen ‘B Complex’ vitamins and all the jazz around them, and bananas are a natural source of this essential goody. What’s the big deal with B vitamins anyway? Some of the above merit stand-alone discussion and will be covered below, but you can see that you can benefit greatly from the B in Bananas. When I think of antioxidants, for some reason I think of berries. What I didn’t know was that bananas actually have the same type of antioxidants known as anthocyanins. 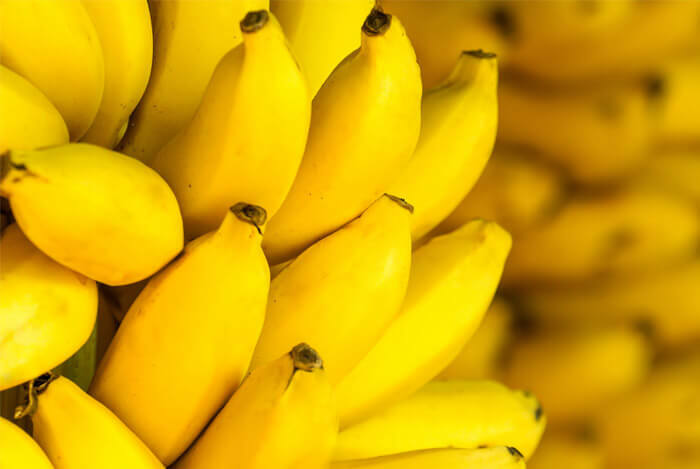 Some studies suggest that bananas don’t have the same level as their berry buddies. This is an area of some debate, and until more definitive studies are conducted the info should be taken with a grain of salt. My thinking is that tossing a banana that is starting to get some brown spots is a waste. You know what you should do? Freeze them. Freeze those browning bananas and now you have an ice-cream like treat. 1. Remove them from the freezer and slice them – it’s easier to remove the peel once they are sliced. Now enjoy your tasty frozen treat! 2. 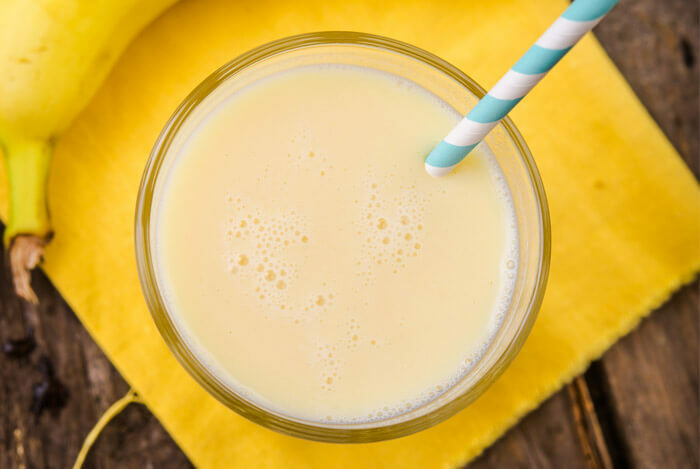 Perform the same steps as above, but toss them in a blender with some orange juice for a quick and easy banana OJ smoothie, with no ice needed. I’ve always been told that bananas are an excellent source of potassium, and that’s true. Most people associate an acute deficiency in potassium with muscle cramps. But is that it? Actually, potassium works in all human cells. A key component of balance in your cells is the sodium-potassium pump. This is literally a pump that transports nutrients and other compounds in and out of cells. There’s a lot more detail with regards to how the sodium-potassium pumps work through ionic balance across the cell membrane, but the crux of it is that potassium is crucial for the function of human cells. So the next time someone says “bananas have a lot of potassium”, you can school them in why that matters. Eat a banana, that’s what I’d been told growing up at least. Or mashed bananas…kind of slimy but I guess it wasn’t that bad. Bananas are high in multiple forms of fiber. These fibers will help relieve both constipation and diarrhea and help fix bowel activity. Bananas are also rich in a prebiotic compound called fructooligosaccharide. What a mouth full. This prebiotic compound assists probiotic bacteria (good bacteria) in the colon. A lot of people in my family have glasses and you might be the same. What that tells me is glasses might be in my future and they might be in yours too. But not without a fight! I know that carrots are pretty good for your eye health but I didn’t know bananas were too, and for a similar reason. Bananas have a lot of vitamin A. As you get older, your macula degenerates and vitamin A helps combat age-related macular degeneration. 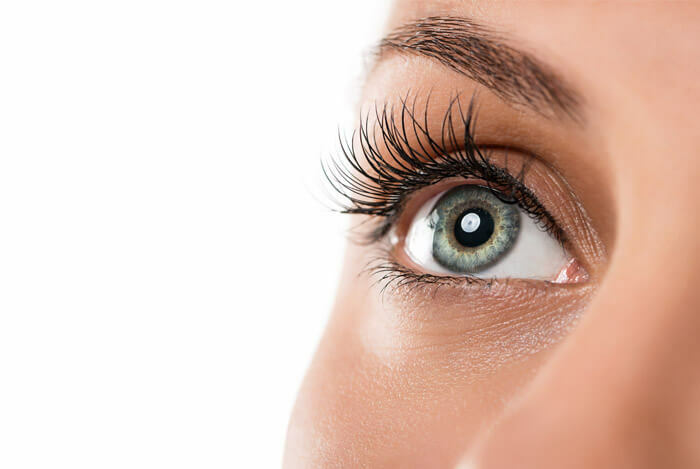 The macula is the part of your eye that gathers light and is responsible for sharp vision, so it’s definitely worth protecting. Protein shake and power-cleans! Right? Actually, I usually try to have a smoothie. This is mostly because I try to eat more natural foods, but it looks like I’m doing something right. 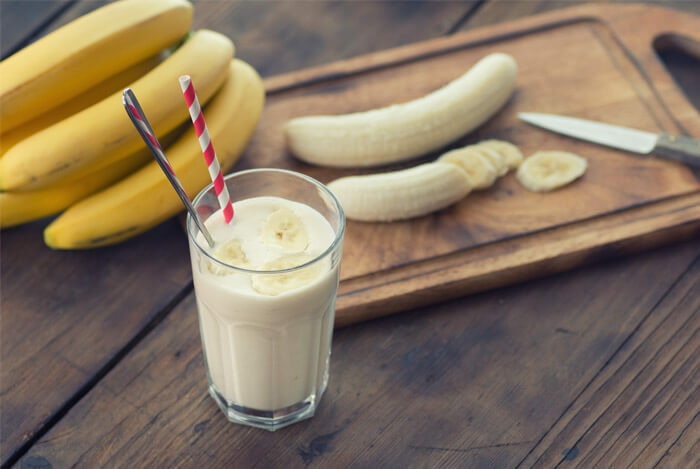 A study between Appalachian State University and the Dole Food Company compared the effects of eating bananas versus a 6% carbohydrate pre-workout drink on a 75 kilometer cycling performance. They measured post-exercise inflammation, oxidative stress, and immune function. By the way, 75 kilometers is a pretty serious workout. The performance was the same between bananas, and the sports drink. But there were several advantages to eating the bananas. Namely the fiber, nutrients, and antioxidants mentioned above. The study suggests that rather than reach for pre-packed carbohydrate sports drinks, you can get your workout boost from a much healthier (and much cheaper) source. Ok, so bananas are awesome! But just grabbing a banana and chowing it down might not be for everyone. Remember how I said to freeze your bananas? And how you can even use ripe bananas? Take those bananas, and throw them into a blender just for a bit. Just enough to mash them up a tiny bit but not make them slimy. And you’ve now magically made banana ice cream and can top it with what you’d normally top your ice cream with! It wouldn’t be right of me to suggest chocolate syrup or anything, so I’ll say blueberries or some chopped nuts. Sliced bananas on most breakfast foods is fantastic, well maybe not eggs or anything like that. I’m talking oatmeal pancakes, steel cut oats, etc. 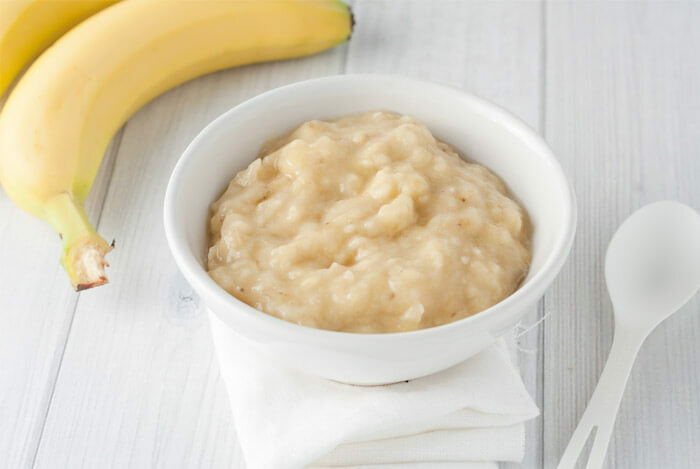 Oatmeal is a little boring alone, but add some sliced banana and cinnamon and you have a tasty treat for breakfast. Or you’ve got boring cereal? Not anymore, now you have awesome cereal. Just add banana. You’ve got to try this. 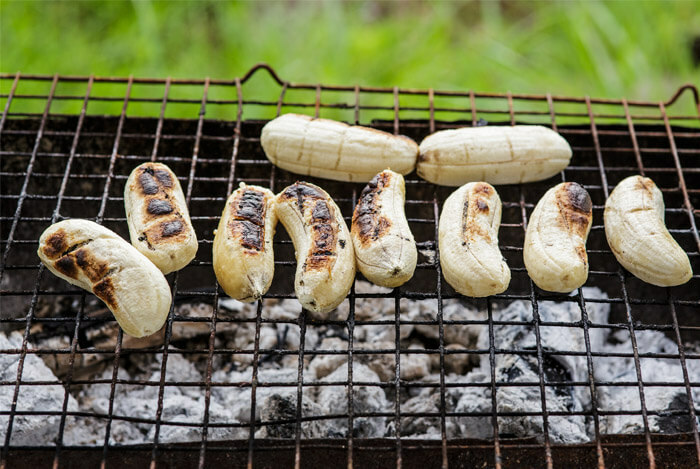 Slice your bananas in half lengthwise, throw some cinnamon on them, and put them on the grill for a few minutes. Try it with a little frozen yogurt on the side, it will blow your mind. Yogurt. Banana. Orange Juice. Done. Alright I mentioned Jamba Juice earlier, so I’ll let you in on a little secret. The main ingredients to pretty much every smoothie, at least when I was working there, which was a while ago, was bananas and frozen yogurt. Almost every smoothie had these two things. So there you have it, banana may just be the miracle fruit, and there are plenty of unique ways to eat them. What’s your take on bananas? Have anything else you’d like to share? Let me know in the comments below!